Home BLOGS FOOD Oriental Banquet! It’s that time of the year when we love to indulge our family and friends to some exquisite Chinese feast. Chinese New Year is here and we cannot wait to prepare some delicious and healthy cuisines. Folks, celebrate the biggest date in Chinese calendar in style with our best Chinese dishes, from soup to dumplings we have got your menu sorted! Here are some do-at-home meal plans that everyone can follow. Curry Laksa is a soup with naturally warm ingredients especially for the winter season that one is meant to enjoy with their family. 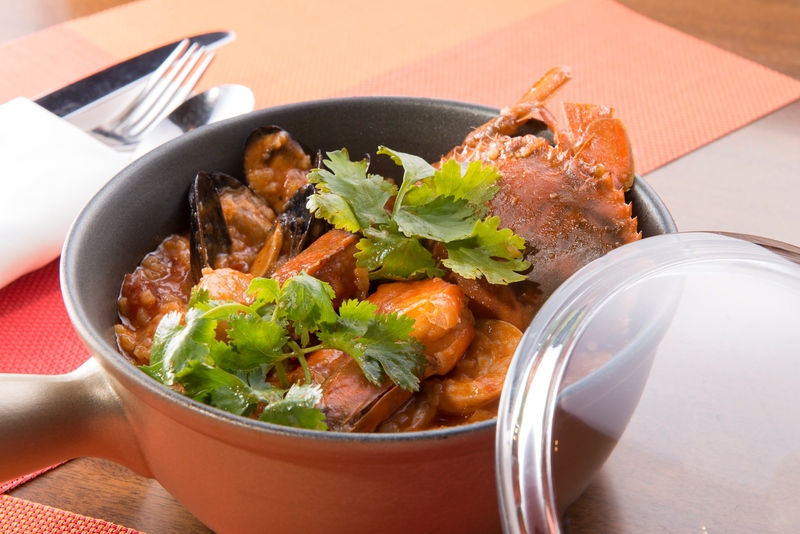 This recipe is by Sheraton Grand Macao Hotel, Cotai Central. Curry Laksa Soup, a Hot Pot soup base that is a traditional Asian delicacy which includes a variety of East Asian stews cooked and served at the table. Heat oil and sauté blended items in (a) and lemongrass. Add in the rest of the (a) ingredients and sauté for about 5 minutes. Stir the paste till oil bubbles on the surface and becomes reddish in color and aromatic. Add chicken stock and tofu puff. Simmer gently for about 5-7 minutes and add seasoning. Lastly, add coconut milk. Bring it to a boil and turn off the heat. Strain the soup through a strainer. Laksa Soup is ready to serve. 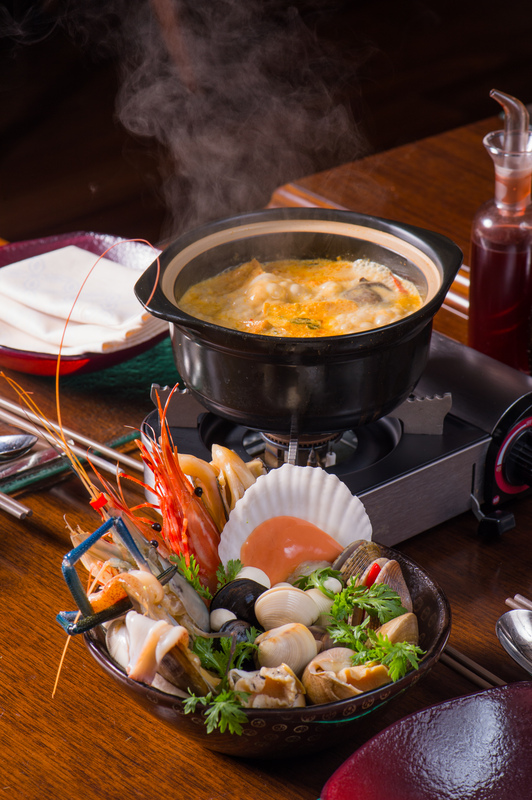 Seafood Rice Recipe by Sheraton Grand Macao Hotel, Cotai Central. Fry all the seafood in a big shallow pan for about 5 minutes, or until you notice a slight change in color, and set aside. In another big pot, sauté onion, garlic, ginger, red capsicum, and bay leaf until golden brown, about 10 minutes. Add white wine, tomato sauce, cayenne pepper and water. Bring to a boil, turn to low heat and simmer for 45 minutes, stirring occasionally. Next, steam the rice and set aside. In the pan with the seafood, add rice and white wine tomato sauce mixture and cook for 10 minutes. Taste and adjust seasoning if required. Transfer to bowls, drizzle with olive oil and garnish with chopped coriander leaves. 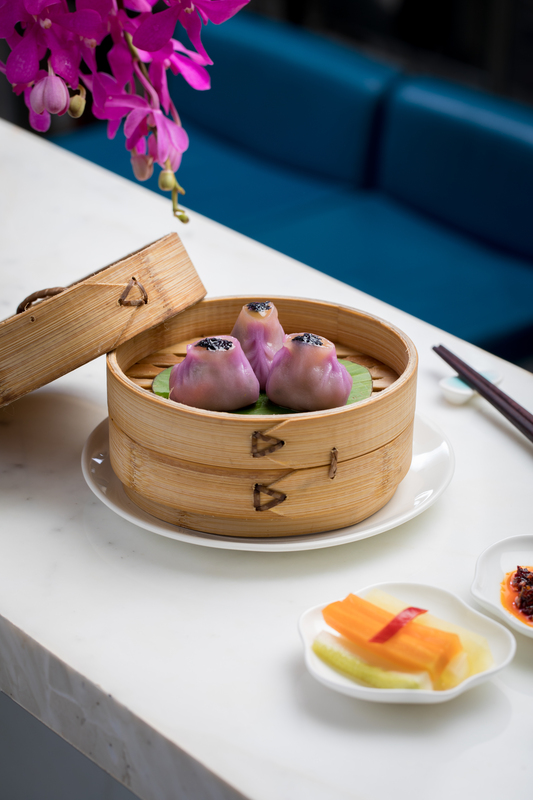 Crispy Pakchoi Dumpling – Healthy dumplings recipe by Yauatcha, Mumbai. Prepare the filling by blanching the chopped vegetables, and mix well with the rest of the ingredients aside covered in the fridge until use. Prepare the skin by using the potato starch and water to form a dough. Cut and divide the dough in equals. Use a roller to make a wrapper. Use the filling and fold it into dumplings. To prepare the filling, blanch all the vegetables together except the iceberg and keep aside till it cools down. Mix rest of the ingredients with blanched vegetables to form the filling. Prepare the skin by using wheat starch and water to make dough. Cut and divide the dough into equals and use a roller to make wrapper. Insert filling and fold into dumplings. 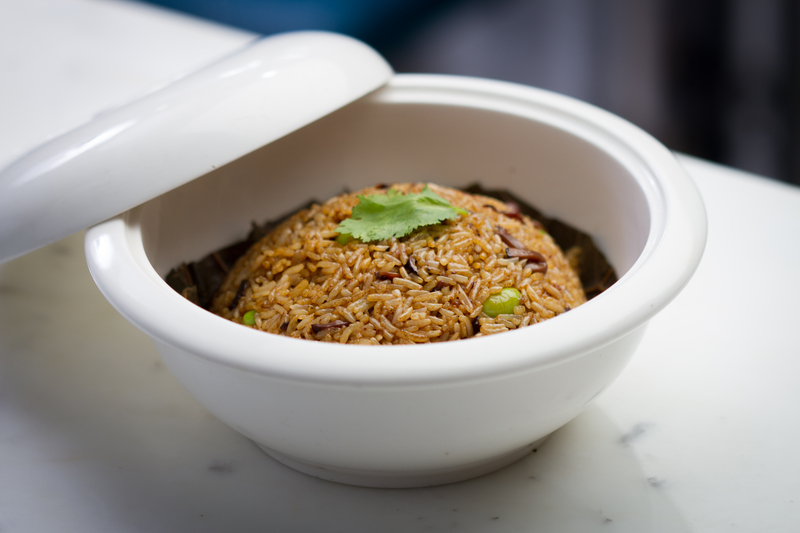 Lotus Leaf Wrapped Fried Rice (WOK DISH), Healthy recipe by Yauatcha, Mumbai. Heat oil in a wok till smoke appears. Now add all the ingredients together and toss it at high flame till well combined. Serve hot with a garnish of coriander leaf. 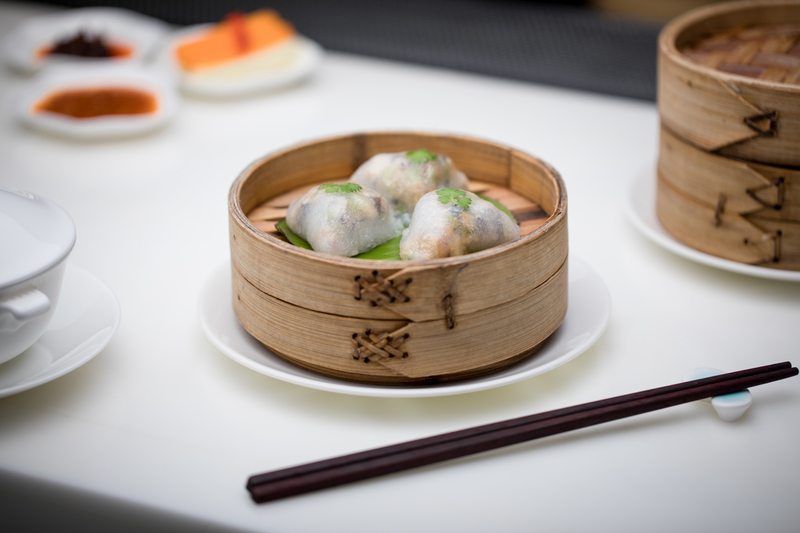 Mushroom Spring Roll with Black Truffle (DIMSUM FRIED) – Healthy recipe by Yauatcha, Mumbai. Blanch all the vegetables together and keep aside. Once the vegetables cool down, mix all the other ingredients to form a filling. 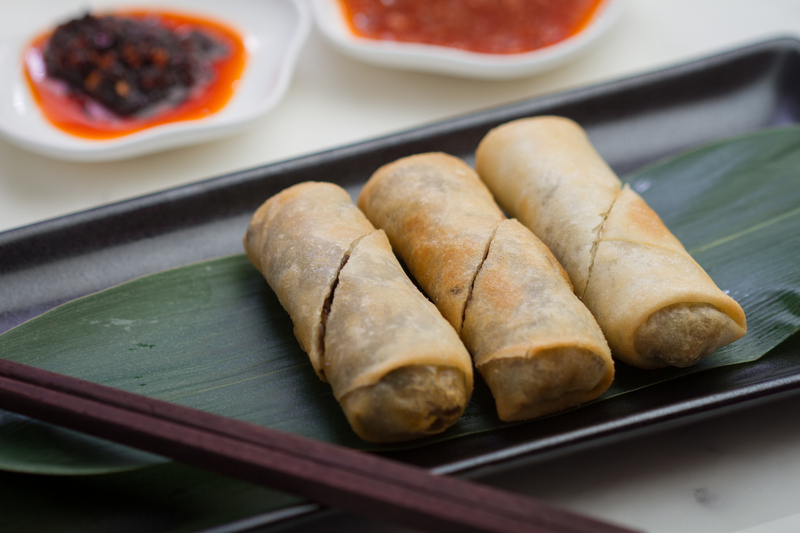 Divide the filling in three equal quantities and wrap it using the spring roll sheet to give shape. Deep fry it at a temperature of 160ºC until it becomes crispy and golden in color.